We’re delighted to welcome two new staff members to the Cowdy Team, Property Managers Sarah Talbot and Stacey Parry. Sarah comes to Cowdy and Co with personal experience in not only managing rental homes but maintaining her own investment property. Sarah knows how important an asset your Christchurch property is and always strives to offer superior service to her clients. 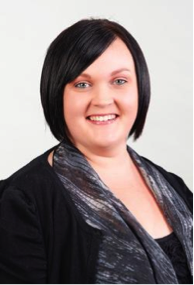 Sarah has already been busy with the Cowdy team managing Christchurch rentals. If you have a property that you’re interested in renting out, call Sarah on 03 355 6686 for a chat. Stacey has been working in the property management industry since 2007. She’s got a great positive, professional attitude and a reputation for offering incredible service and expertise. Dedicated to providing the best possible service to all those she deals with. Stacey makes sure that both property owners and tenants are kept in the loop with everything including maintenance, tenancy issues and payment. Stacey would love to hear from you! Give her a ring on 03 355 6686. Thinking about renting your Christchurch property? You may see Sarah and Stacey around Christchurch managing their clients’ properties or around Cowdy & Co.’s office. Feel free to contact either for a chat about your property management needs. Janice Cowdy is director of the Property Management Division of Cowdy. Having worked in the role since 1989, with a reputation for offering an unrivalled property management service, she ensures landlords receive the best return for their investment. A property investor herself, her philosophy is to treat every client’s property as they would. Always ensuring landlords receive a good return on investment, and enjoying open lines of communication. 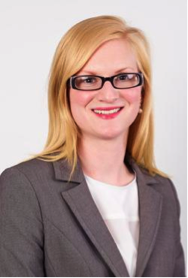 She has extensive experience in all aspects of business, understanding relevant tenancy legislation, and is committed to providing the best property management service available. A strategic thinker, she focuses on quality control, problem solving and forward planning.